This is made basically from three layers, a solid wood top layer ranging from 2mm to 6mm in thickness. Which is glued to thin pieces of plywood what run in different directions. This makes for a much more stable hardwood compared to solid wood. 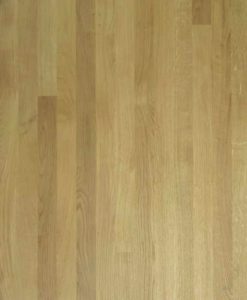 There are two different profiles of how the floor planks fit together. Firstly it comes in tongue and groove edges which can be secret nailed to a wooden sub-floor. Or can be glued down if laying onto a concrete base. Secondly we sell a large selection of an easy to fit click together system that can be installed as a floating floor, making installation faster and easier. 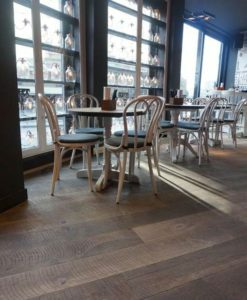 This type of flooring comes in a wide selection of wood species, the most common is oak flooring that is by far the most popular option. 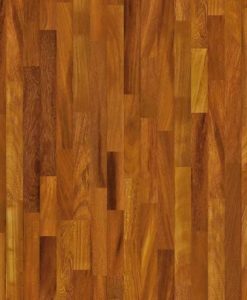 Other species available are walnut, maple, ash, beech, maple, cherry, hickory and exotic species. 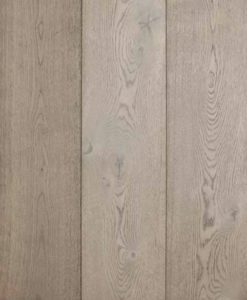 Oak can be brushed that raises the grain slightly or heavy brushed that feels very rough which is a great option for masking scratches and dents. 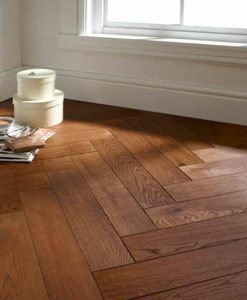 Also hand scraped oak flooring is where it is made to look old so could be suited to a Cottage. 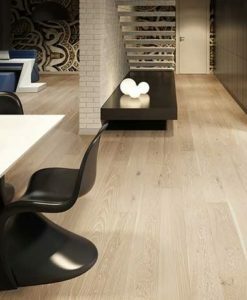 We only supply FSC Certified Flooring from reputable suppliers. Prime grade has no defects which makes it a very clean looking grade, as a result you will find this version the most money. Rustic grade comes with lots of character with big knots, splits and dark filler. This is the budget friendly grade, we have a very large selection to suit all tastes. 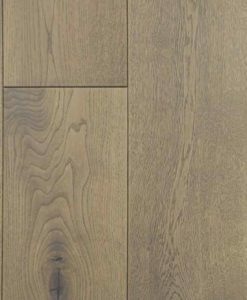 Free samples are available on most of the flooring we sell.